Today, we get a sneak peek of T.M. Franklin’s upcoming release – TWELVE, Book Three in the MORE Trilogy…and she has a special guest to help her out. Well, Bond (James Bond) must be more of a chick-lit guy. T.M. assures us that he was definitely causing trouble, as you could hear in the background, but nothing valuable was destroyed. This time. 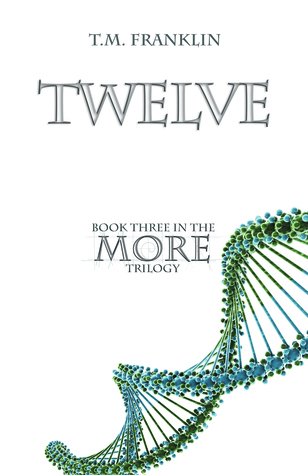 Want to get your own SIGNED paperback ARC of TWELVE? Enter now!